Peak Capital - Peak Capital Partners Acquires Lakes at Harbison in Columbia, S.C. Peak Capital Partners Acquires Lakes at Harbison in Columbia, S.C.
PROVO, Utah (April 18, 2017) – Peak Capital Partners, a Utah-based apartment investment and management company, today announced it acquired Lakes at Harbison, a 124-unit apartment community in Columbia, S.C. Lakes at Harbison is in an ideal location and within one mile of major retail centers like Wal-Mart, Lowes, Sam’s Club, and several restaurants. The Riverbanks Zoo, Columbiana Centre and the Columbiana Grande Cinemas are close by. The property is eight miles from downtown Columbia, home to the University of South Carolina and the state capital offices. The community also is conveniently located near I-26 and I-20, making it easy to access the area’s attractions. Amenities include 10 miles of nearby walking trails, an upgraded clubhouse and a free membership to Harbison Recreational Center. This membership entitles residents to access the indoor swimming pool, basketball and tennis courts, as well as numerous other benefits offered by the center. Peak plans to upgrade existing amenities at the property as well as update the interiors of the units. 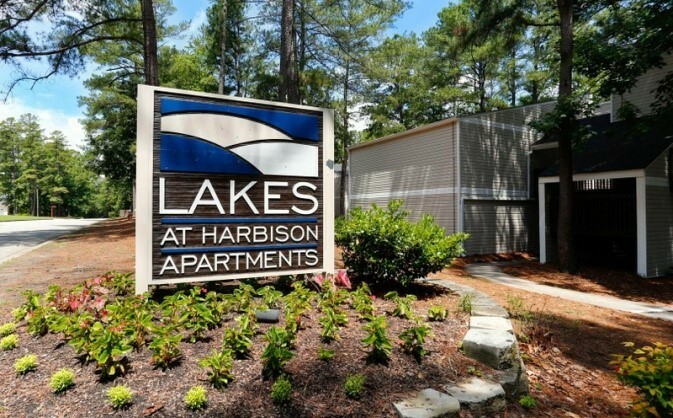 The Lakes at Harbison offers spacious one-, two, and three-bedroom apartment homes featuring a modern black appliance package in a gourmet kitchen, washer/dryer connections, and over-sized floor plans.